This week, we've been working on a few loose ends: the ending is now written and the credits have been gathered. We still need to add those to the game, but the data is ready at last! We've also integrated another round of QA feedback we received, mostly centered on localization issues and console problems. We're done with all the PS4 issues that were found and have a few Xbox One issues left to fix and then we should be ready for the first party certification process. This work should translate as better error messages and handling on the PC version for the most part. Finally, we've been busy adding 45 new sound effects and commissioning the next big batch of them. We should be about done with sound effects after the next wave. Getting there! 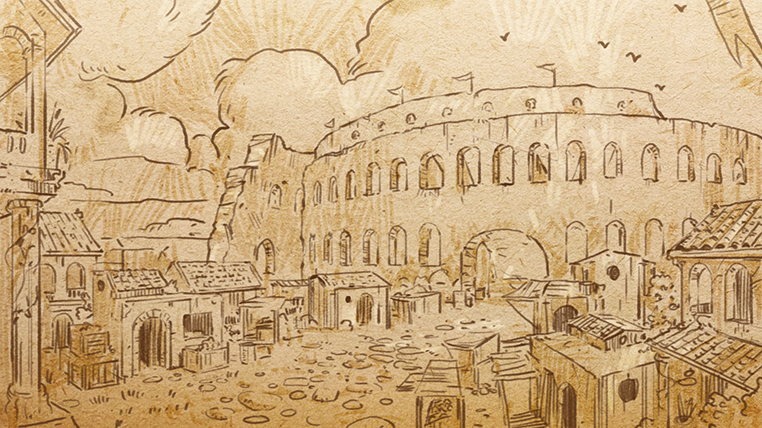 On the art side, we're working on wrapping up the last few spells we're missing as well as adding a nice image for each town. It'll be a little while before we have time to add those to the actual game, but all the assets are ready at this point and looking great!